Liquor aficionados should not miss a tour of Nikka Whisky Yoichi Distillery, the main distillery of the famous Japanese whisky maker. Built in 1934, the distillery was founded by Taketsuru Masataka, who also established the Japanese whisky industry as a whole. On a tour of the historic complex, you can see the whisky-production process first-hand and visit the museum to learn about the company’s history. After the tour, sample the different malts and blends, try the delicious apple wine, or visit the gift shop for a souvenir. Put Nikka Whisky Yoichi Distillery into our Yoichi-cho online attractions planner and find out what's close by, where to stay, and where to head next. If you like whiskey in Hokkaido, where all the other thing aside from taking field trips, visits and tasting is free to all; the end of Yen selling whisky are available only here. Whisky is made a couple of impressive story up with the company and the process can be. Guided tours are conducted in Japanese, but the Korean Korean brochures online guide (Internet connection) and also the main spot in the teuleojuneun video Korean dubbing. Was very hard to enjoy a stay of four hours. Great exhibition. Of course, tasting is the enrichment. Is to function as the sightseeing options. Great experience especially for the whisky lovers! Came especially to Yoichi to visit and it's a great experience indeed! Should try all the single malts, the premium, and the free ones. You should definitely eat in their restaurant to try the whisky and wine shabu2. Great visit to distillery in early winter 2018. Interesting learning of whiskey production, there's whiskey tasting (paid tasting for premium whiskey, free sampling of the younger whiskey). Good place for a 1-2 hour visit (2 hours if you're sampling). If you can understand Japanese, the free, informative guided tour of the beautiful grounds plus the tasting sessions would make it a 5 star experience. If you can't, the lack of exhibits in the handful of buildings without locked doors would keep you clueless on how whiskey is made, degrading the experience 3 star only. Best place to visit when you are in Yoichi! We came especially to visit the distillery and it worth a visit! Free admission to enter, wonderful environment, the building are well planned, good floor plan and most important, spectacular whiskey! The distillery offers free whiskey tasting, although the selection of the free tasting are more entry level bottles, the quality is still good! On the other hand, the distillery also offers a separate bar area for paid tasting which includes selective award winning bottles, this is definitely one of the best places to go if you are a whiskey lover! Don’t forget to purchase souvenirs at the merchandise store when leaving! Every day, we help thousands of travelers plan great vacations. Here are some tips on how to use your Listing Page to attract more travelers to your business - Nikka Whisky Yoichi Distillery. Promote your permanent link - https://www.inspirock.com/japan/yoichi-cho/nikka-whisky-yoichi-distillery-a551797421 - on your website, your blog, and social media. When a traveler builds a plan from this page, the itinerary automatically includes Nikka Whisky Yoichi Distillery. This is a great way for travelers looking for a great vacation in your city or country to also experience Nikka Whisky Yoichi Distillery. Promoting your link also lets your audience know that you are featured on a rapidly growing travel site. 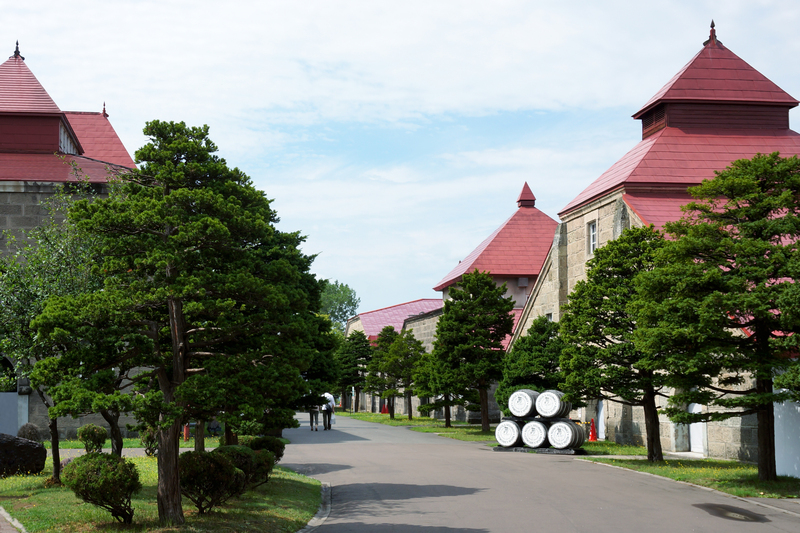 In addition, the more this page is used, the more we will promote Nikka Whisky Yoichi Distillery to other Inspirock users. For best results, use the customized Trip Planning Widget for Nikka Whisky Yoichi Distillery on your website. It has all the advantages mentioned above, plus users to your site can conveniently access it directly on your site. Visitors to your site will appreciate you offering them help with planning their vacation. Setting this up takes just a few minutes - Click here for instructions.